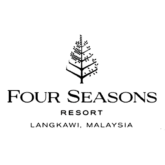 Whether you are looking for a romantic getaway with your significant other or a family retreat, the Four Season Langkawi caters to your needs and offers both dreamy havens for couples along with versatile family-oriented vacations. 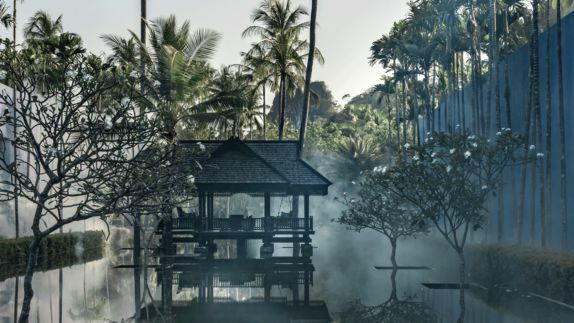 Tucked away between a tropical rainforest in the UNESCO World Geopark, limestone cliffs and the emerald waters of the Andaman Sea, the natural beauty of the island resort speaks for itself. Start your day with a morning swim in your private pool before enjoying your breakfast on the oceanfront patio. Then continue by exploring the surrounding nature or enjoy the various activities the resort offers. A delicious drink is the perfect way to end the day while admiring the view, as the glowing sun turns the sky into a sea of jewel tones while the ocean’s meek waves gently kiss the beach. 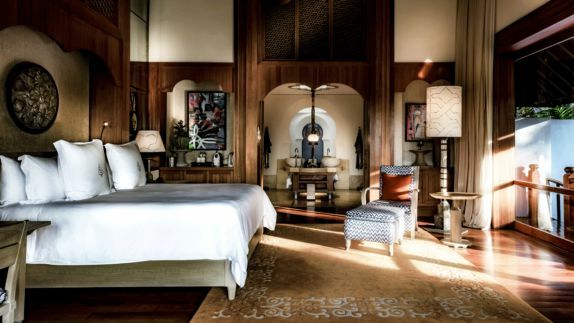 Why is Four Seasons Langkawi the best place to stay during your trip to the Andaman Sea? Langkawi consists of 99 tiny islands, each offering magical lavish greens of the ocean. The name Langkawi says it all, comes from the combination of the Malay word helang, which means “eagle” and the Sanskrit word kawi, for the reddish brown color of these majestic birds, which you will be able to observe during your adventures on the island. With its dramatic mountainscapes, lush rainforests and beautiful beached this peaceful hideaway is the perfect resort for your next break from everyday life. How is my private space? Will I be able to see the sea from my room? 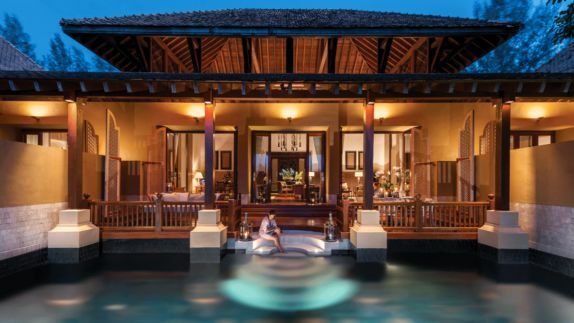 Set within the tropical gardens or with an ocean view, the large and luminous villas and pavillions cater to every need. The accommodations are perfect for both multigenerational family vacations, romantic getaways or special events with friends. 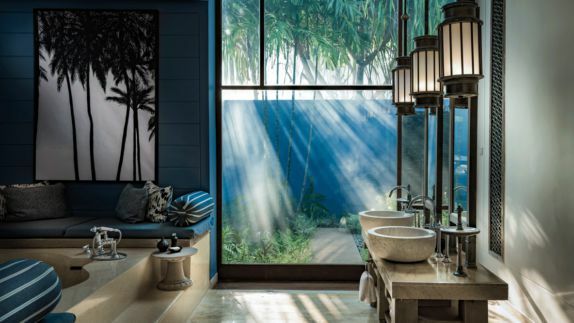 With indoor-outdoor lounging areas on the private poolside deck and various activities throughout the resort, there is enough space for every guest to find a quiet or fun space to enjoy exquisite design and luscious nature. Where can I rest after a long day of adventures in the rainforest? 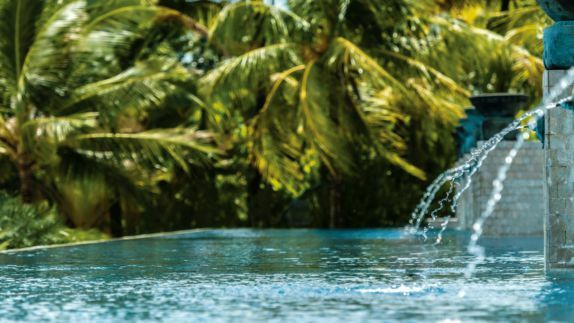 Guest can enjoy a breathtaking view of the Andaman Sea from the calm infinity pool surrounded by vivid greens of the Malay rainforest. Treat yourself to a serene treatment at the exclusive Geo Spa or relax at one of the beautiful pools. Connect with nature and your inner self through a wide variety of yogic sessions, holistic ritual and or a simple walk through the park. How is the cuisine in Malaysia? Do I have more than one restaurant to choose from? 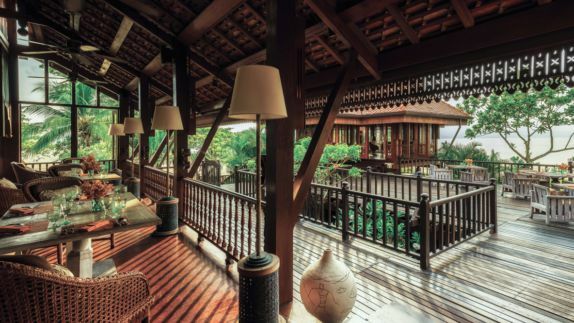 Immerse yourself in some of Malaysia’s best flavors in the praised Ikan-Ikan restaurant or try your favorite dishes such as wood-fired pizza or a classic surf and turf with an Asian twist. The Rhu Bar with its extensive array of beer and wine options is the perfect place to end the day while overlooking the ocean. Whether you want a snack mid-day or desire a refreshing drink, the poolside bar and staff will fulfill your wishes. How can I spend my day in the Langkawi? What is there to explore? Discover the surroundings of the resort and explore the lush rainforest, and famous mangroves on a breathtaking adventure through the Pulau Langgun. Either go for a stroll through the resort park or walk on the long private beach. Lake Tasik Langgun offers you a refreshing break during your expeditions around Langkawi.